We had a big storm last night. We had sheets and sheets of insane rain, monstrous claps of thunder and everything. We had lightning, too. Oh guess what! One of the lightning bolts struck my neighbor’s tree, splitting it right down the center. It totally looks like something you’d see in a National Geographic magazine or a cool storm chaser show. Guess what else! That huge tree that was split in half, landed….wait for it….ON MY HOUSE. Yaaay! And my car? Where is it? Under the tree! Wa-hooo! It totally looks like something you’d see on your local news. I’m practically famous, you guys! So, after signing autographs and chasing off the paparazzi, I’m going to make the thrilling rounds of calls to insurance companies, the city, and the liquor store. So, I’ll leave you with a recipe inspired by the amazing Deb of Smitten Kitchen. 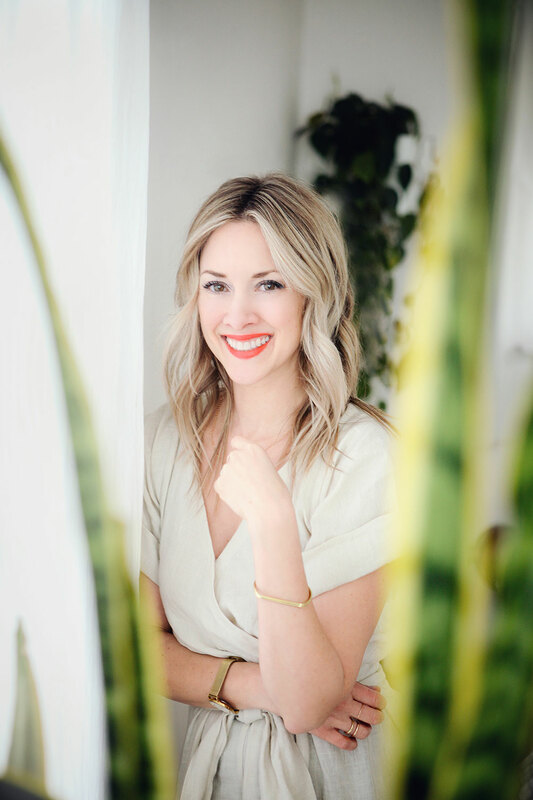 She just had a feature in the newest Everyday Food magazine, and it made me giddy to see her face, on paper! I tweaked it a tad, based on what I had going on in my fridge. AAAH! Oh, sorry. The tree coming through my window startled me again. *UPDATE* – You guys, you won’t believe it. The team of dudes in neon orange vests came and cut up the tree and pulled it away. My car? JUST FINE. Shoot, it might even look better. My house? Just a teeny dent in the gutter. I. am. so. relieved. Thank you all for your sweet comments and concern! Muah! Brush 2 Tbs. oil on a rimmed baking sheet. Layer the eggplant rounds on the sheet and roast for 25 minutes. Flip and roast 12 more minutes. 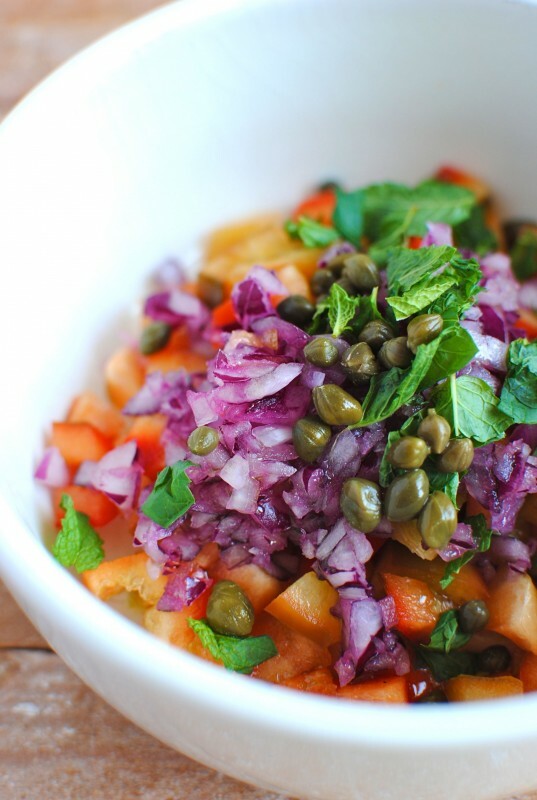 In the meantime, combine the red bell pepper, onion, capers, oil, vinegar, mint leaves and a pinch of salt and pepper in a little bowl. 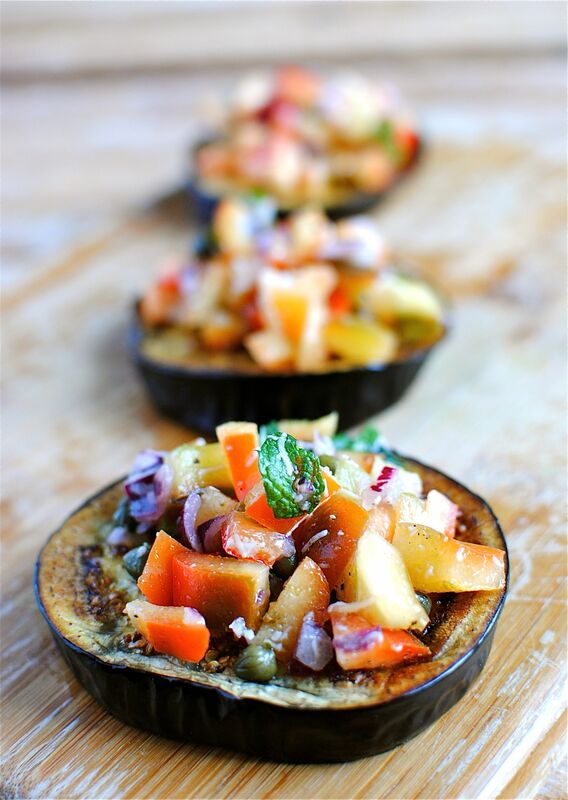 Top each eggplant round with the topping and serve in a cute little tray! Or not. You could just shove them into your mouth. This looks delicious - and so pretty, too! I am so sorry to hear about your house and car!!! What a nightmare! Thank the heavens you and your hubby weren't injured! We've had tornado scares in and around our neighborhood every spring, and it's been a miracle our house hasn't been hit - when others around us have. Hoping all goes well (and quickly) in repairing the damage and replacing your car. Sorry again! I love your attitude though! Cooking is good for the mind, body and soul, no doubt. xo. Wow...so you weren't kidding about the whole tree on your house thing. Yikes! That is awful! Such a fun and pretty bruschetta. Lovely job. Oh my goodness! Your poor house/car. At least you had this fabulous bruschetta to look forward to. It looks sooo tasty! Your pics are gorgeous as well. I hope your tree ordeal got sorted out! We finally got electricity back at some point. This sounds delicious, that eggplant is beautiful! Oh, No!! We have been having the same freak show weather here in NYC, but no split apartments yet! I'm so sorry to hear about the chaos of the tree- hit the liquor store, for sure. This looks amazing, and if Deb made it too- it must taste like heaven. Thanks for sharing in your time of grief! This looks delicious, and so easy to make! Thanks for sharing. You had me at capers and you cemented my love with a touch of mint. Oh no! That lightening must have been ridiculous! Glad to hear you're okay though. You must be reading my mind. I've been wanting eggplant lately! I had every intention of buying one today! 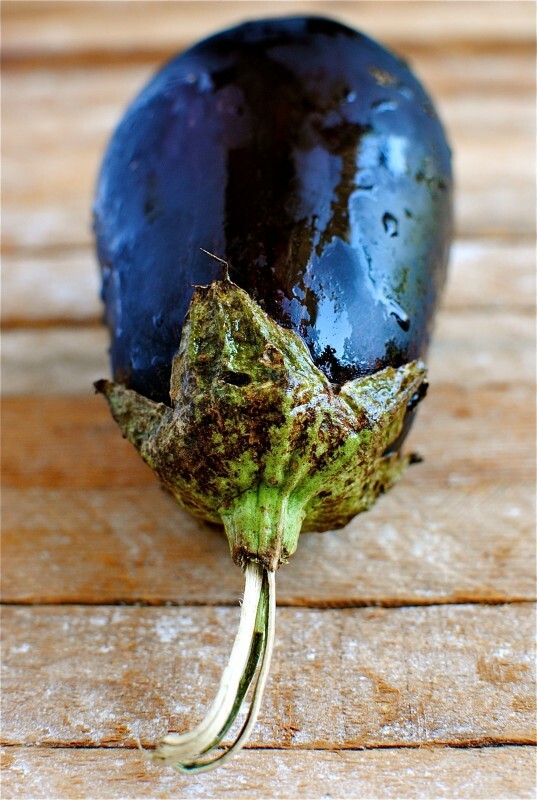 I never see any eggplant look so beautiful like yours, I guess this is the power of your talent taking picture! I like everything on the plate, they are very healthy! your photography is...STUNNING!!! and the recipe looks wonderful too. but the pics...WOW!! Thank you so much Averie! great looking and fabulous idea! These are absolutely lovely. 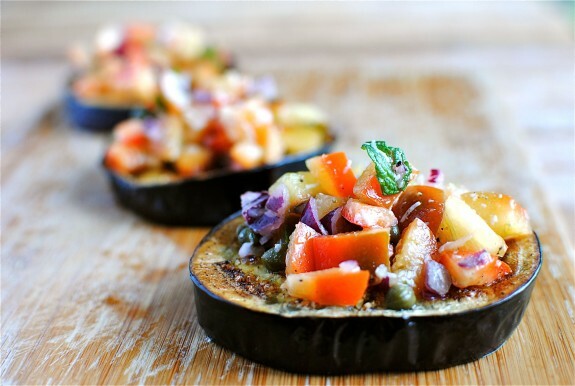 I've never roasted eggplant before, but this makes me really want to try! Delicious.